Vacation Barefoot Travel Blog: A Jamaican River Rave - Humidity! 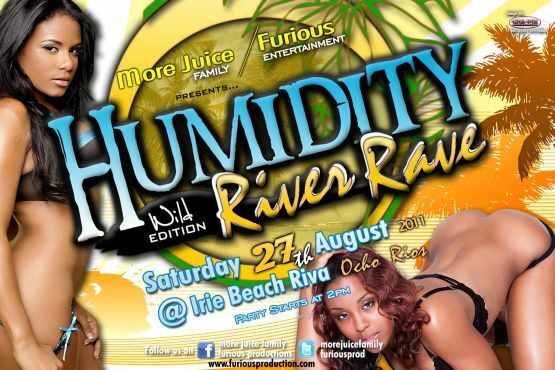 A Jamaican River Rave - Humidity! Here's another hot party in Jamaica taking place August 27th, 2011 in Ocho Rio, Jamaica. The party includes a ton of music, happy hours, a bikini body contest, jello shots, free party favors and complimentary drinks on entry for the ladies. End your summer with the ultimate River Rave!!! Check out more info on the part at: www.eventsja.com/humidity.